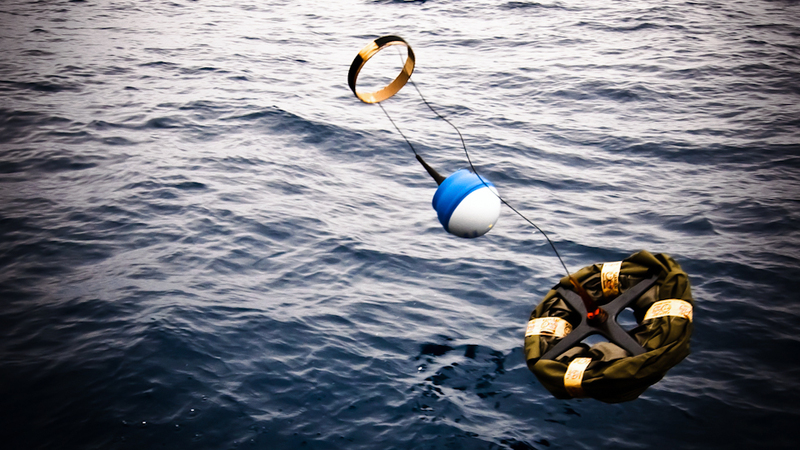 Surface drifters are autonomous observing platforms that provide a lagrangian trajectory from which ocean currents can be inferred. During their deployment, expected to last up to two years, they can also provide other variables of interest, such as sea surface temperature or air pressure. The data is provided to Data Assembly Centres whenever a platform establishes connection with the satellite constellation. SOCIB mantains a sustained drifters program, in the framework of the Global Drifter Program (GDP), consisting on periodic deployments of SVP platforms to attend scientific needs. 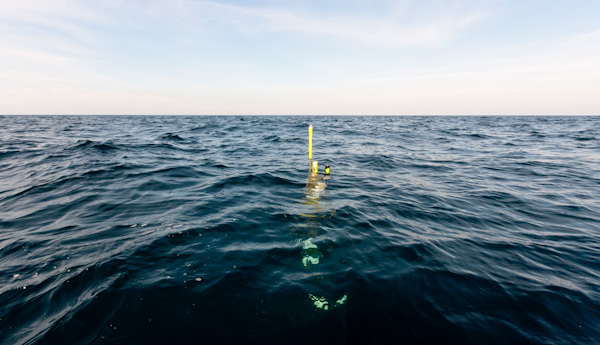 A popular use of the data will be surface currents mapping, distribution of eddy kinetic energy and dispersion of surface particles (such as fish larvae and other plankton and buoyant pollutants such as oil spills). The global array of Argo floats has been demonstrated (Roemmich et al., 2009) to be one of the major components of the Global Climate Observing System/Global Ocean Observing System (GCOS/GOOS). It provides a quantitative description of the changing state of the upper ocean and the patterns of ocean climate variability, from months to decades, including heat and freshwater storage and transport. Left side image: Argo profilers communications testing before real deployment. Besides that, an estimation of the actual surface ocean velocities is also necessary to describe non-geostropically balanced dynamics (Niiler et al., 2003). Together with the need for ocean atmospheric pressure, winds and salinity, the rationale that supports the Global Drifter Program (GDP), also part of the GCOS/GOOS. The implementation program of the Argo Project is based on the objective of solving ocean patterns in scales longer that months and therefore a coverage of 1 float every 3º x 3º was established. However the different ocean dynamics of the Mediterranean Sea make it necessary to increase the coverage to at least 1 float every 2º x 2º in order to keep the same scientific objective. For the Global Drifter Program, the planned density was 1 drifter every 5º x 5º, which is again increased to 3º x 3º for the Mediterranean Sea. An active fleet of 8 Argo floats and 16 Surface Drifters will provide about half the design density in the western Mediterranean Sea, which corresponds to a deployment of 4 Argo floats and 8 Surface Drifters per annum. Through the SOCIB Drifter Facility combined with the contributions from other regional the Argo Program expects to achieve 100% coverage in western Mediterranean waters. 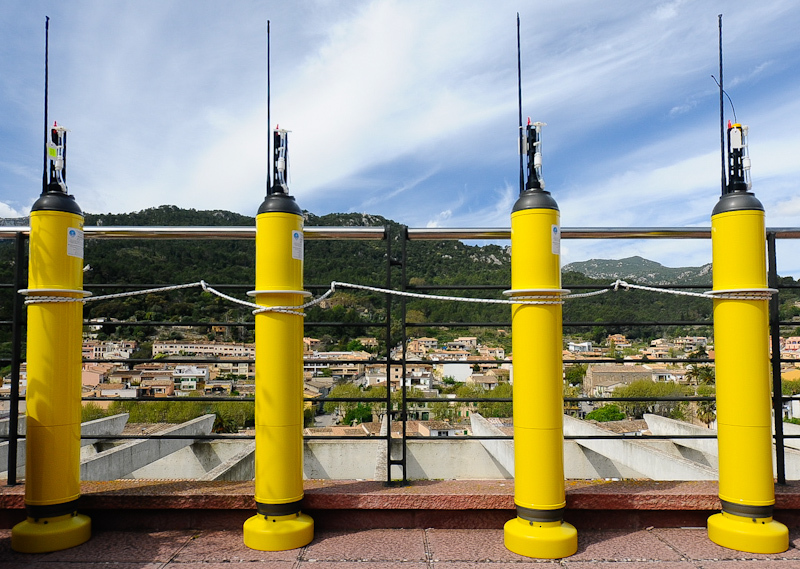 Through building and maintaining a fleet of 8 Argo profiling floats and 16 SurfaceDrifters in the western Mediterranean Sea, this facility will monitor in real-time, the broad scale ocean structure (temperature, salinity and deep currents) in the western Mediterranean, thus contributing to the Spanish participation in Euro-Argo, the European component of the world wide Argo in situ global ocean observing system and one of the 35 projects selected by European Strategy Forum on Research Infrastructures (ESFRI).